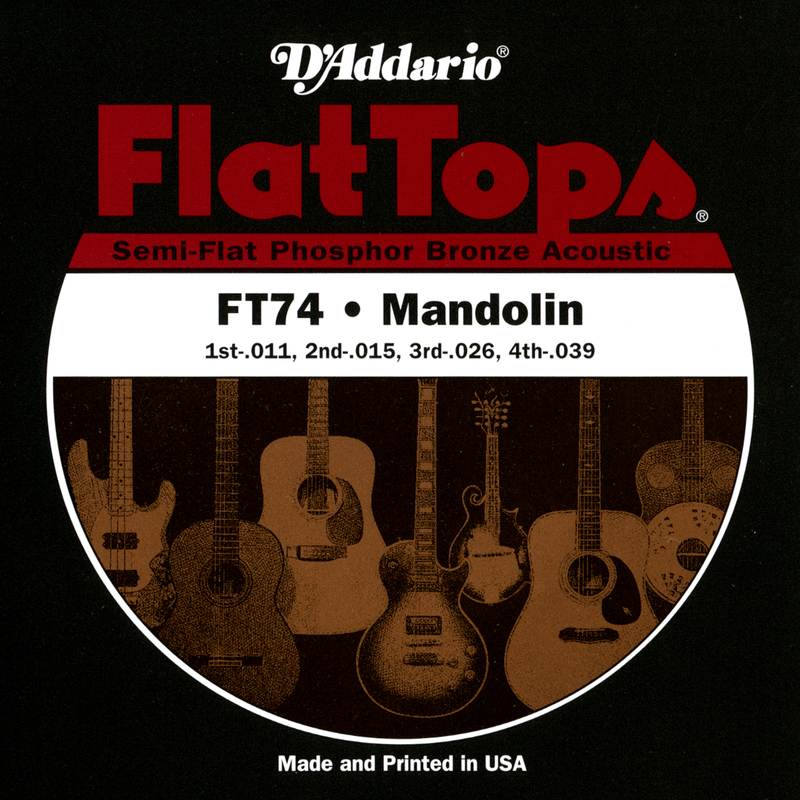 D&#39;Addario FT74 Flat Top mandolin strings are round wound, then precision ground, leaving the outer surface smooth and &quot;semi-flat.&quot; This produces a smooth, flattened playing surface, but does not sacrifice the warm tone and sustain associated with phosphor bronze strings. Flat Tops are excellent for recording and greatly reduce finger noise. D&#39;Addario mandolin strings are trusted by legends like David Grisman, Ricky Skaggs, Ronnie McCoury, Doyle Lawson, Rhonda Vincent, Mike Marshall, Adam Steffey, and more, for their natural acoustic tone and reliable performance. They are made from the highest quality plain steel, stainless steel, nickel plated steel and phosphor bronze and are available in a wide variety of gauges.